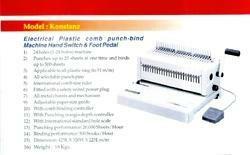 We are a leading Wholesale Distributor of electric comb spico binding machine and small office comb binders from New Delhi, India. 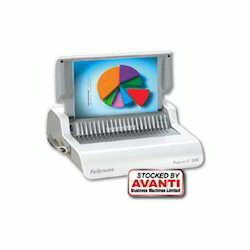 With rich industry experience and knowledge, we are distributing, wholesaling, trading and supplying Small Office Comb Binders. Our offered comb binder is given in numerous specifications as per the needs of patrons. This comb binder is manufactured with excellent quality components and the advance technology at vendors ultra modern manufacturing unit. In order to assure the quality, this comb binder is examined against various quality parameters by vendors quality controllers. Looking for Home Office Comb Bnders ?